No, it’s not actually where the Atlantic and Indian oceans meet. 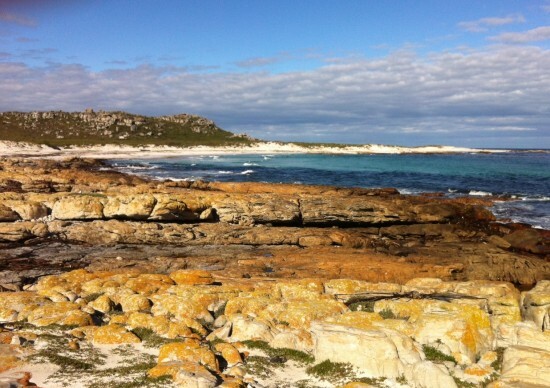 But as we recently discovered, the Cape of Good Hope peninsula tip offers a surprising intro to South Africa’s unique ecosystem. 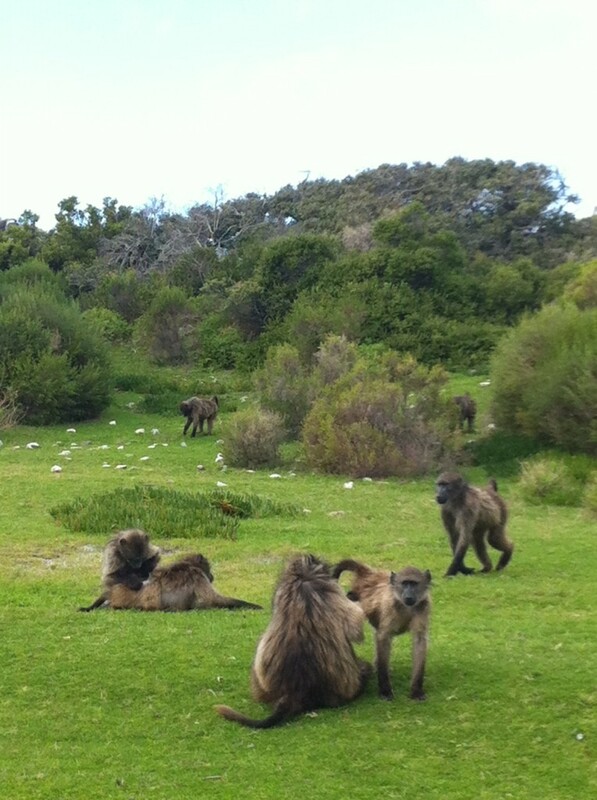 Chacma baboons grouped up as we parked at the Cape Point Nature Reserve, an hour outside Cape Town. Having these long-faced monkeys nearby felt amusing at first—but we quickly learned they create chaos in South Africa. They know how to grab snack-holding purses and open unlocked car doors. Unusually for primates, they feed here on shellfish and sand hoppers at low tide. But it takes them all day to gather enough, so human food tempts—and can ruin—them. Once baboons have tasted it, they can become so aggressive they must be destroyed. This was just the first of the facts we learned as local nature guide Linda Hibbin and her friends Margaret and Katja led us past the baboons and on a fascinating three-hour hike along the Sirkelsvlei trail. Linda has sharp eyes, spotting a Cape Mountain zebra on the drive in. “It was well-camouflaged, which you wouldn’t expect of a zebra,” she said. As we walked across rock and sand, past a lake and along the coast, Linda pointed out all kinds of other natural surprises. The consistent hollow tapping of the clicking stream frog kept us marching along. But at pinky-size, that was the one creature Linda conceded she never could see. The knee-high globes of bushes covering the land struck us first. They’re what South Africans call fynbos, or fine bush vegetation. Many varieties of restios (reeds), ericas (heath), and flowering proteas (also called sugarbushes) make up a good portion of the fynbos. Linda got us looking closer. Within the fynbos are all kinds of flower treasures. They’re all part of the Cape Floral Kingdom. With 9,000 plant species, it’s the smallest but richest of the world’s six floral kingdoms. Among our favorite flowers were gladiolus bonaspei, flaring into delicate orange trumpets. I also loved the succulent sour fig plant, with juicy tubes for leaves that Linda said can be made into a jelly. We were excited to spot cat’s claws, the buds of which looked like raspberries on the ground. They feed, unusually enough, on the roots of shrubs and daisies, and Linda knew an Ohio State researcher who’d come for a month just to study them.